The innovative work of the University of Greenwich’s Natural Resources Institute (NRI) has been named as one of the UK’s 100 best breakthroughs for its significant impact on people’s everyday lives. NRI’s work on cassava is being honoured in the UK’s best breakthroughs list of the last century. Cassava is a staple food for half a billion people in the developing world but up to 40% of produce can be lost due to its short shelf life. Pests, diseases and access to markets are also challenges. NRI’s award-winning work on this important root crop include the ‘NRI Cassava Bag’, with built-in curing technology, which extends shelf life for over eight days. And the Cassava Adding Value for Africa (CAVA) project supports farmers with new technologies, training and market links, helping them to increase their incomes from the growth of cassava. Director of NRI, Professor Andrew Westby said, “NRI’s work on cassava is making a real difference to the lives of smallholder farmers in Africa. The CAVA project has supported nearly 500 rural enterprises with the aim of benefitting 200,000 households and has the potential to improve the lives of millions. The list was compiled by Universities UK as part of the MadeAtUni campaign to bring to life the difference universities make to people, lives and communities. Vice Chancellor of the University, Professor David Maguire said: “It is a fantastic achievement for us to be featured in this list. We’re extremely proud of the work of our academics and researchers and the difference they are making. “We’re changing the world for the better in Greenwich, and teaching our students to do the same. Whether you’re studying at the Greenwich, Avery Hill or Medway Campus, you’ll become part of a vibrant community where it’s easy to pursue your interests and discover your true potential. Faculties at Greenwich run award-winning research programmes that make valuable contributions to business, industry and the community. 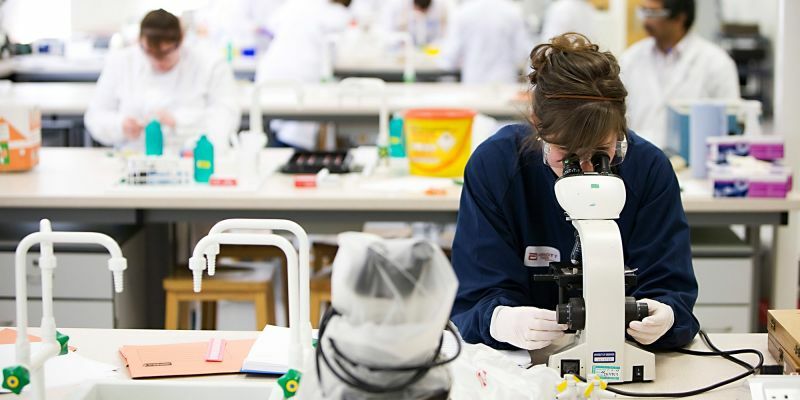 There are a number of types of funding available for postgraduate research studies. Research is led by experienced directors of research recognised internationally for their contributions. They give postgraduates the opportunity to carry out leading research at world-class facilities, and provide businesses with world-leading expertise. Greenwich is our largest campus and its historic buildings on the River Thames are often used as film sets, so don’t be surprised if you see a few famous faces around the campus. The Stockwell Street building houses state-of-the-art learning resources, including a high-tech library, film and TV studios, and one of Europe’s largest teaching and learning green roof landscapes. The latest addition is Dreadnought Building, a huge teaching, study and social space that will open in autumn 2018 after a £25-million renovation. A few miles down the road from Greenwich is our Avery Hill Campus, on the edge of parkland and a short walk from Eltham High Street. As well as teaching and extensive sporting facilities, it is home to the Student Village, where the bulk of our accommodation is located. A recent £14-million investment includes two new buildings, four clinical skills laboratories and two floodlit, all-weather sport pitches. There’s a free intercampus bus to Greenwich, and central London is a 30-minute train ride away. Our Medway Campus in Chatham Maritime, Kent, has teaching and living spaces within a few minutes’ walk from each other. There are industry standard laboratories in science, engineering, pharmacy and natural resources, as well as a huge library. With around 10,000 students from three universities on site, there is a lively community that centres around the Deep End, a social and entertainment space, which also has a quiet study area. Just across the road from the campus is a dockside retail park with a nine-screen cinema, bars, restaurants and outlet stores. There is also a university bus service to the other two campuses, for which a fee is payable. Whichever campus you’re based at, we’ll make sure you have everything you need to settle in, from student support to advice on fees and finance. Your Students’ Union University of Greenwich (SUUG) is also here for you to help you make the most out of your time at the University of Greenwich.